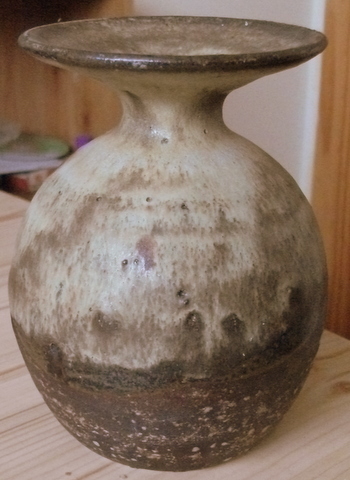 Handsome Vase - Dennis Lane? Re: Handsome Vase - Dennis Lane? 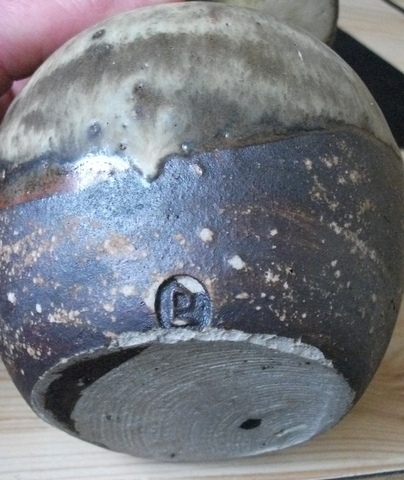 I hadn't heard of any of the 3 potters that you mention at the top of your post but having done a little research none of their work looks anything like your vase, which appears to have "some age". One possibility that comes to mind is Peter Lane, who has primarily produced porcelain for the last 40 years or so. He did produce stoneware at least for a few years in the late 1960s and maybe since. The shape of the vase doesn't seem out of the question either. It is a long shot but it might be worth contacting him by email.